♦ Immaterial Bodies; Affect, Embodiment, Mediation, Lisa Blackman, The Theory, Culture & Society Centre in assoc. with SAGE, 2012. ♦ The Foot In: Go When You See the Green Man Walking, Christine Brooke-Rose, Michael Joseph Ltd, 1970. ♦ The Flame Alphabet, Ben Marcus, Granta Press, 2012. ♦ Post Dramatic Theatre, Hans-Thies Lehmann, Routledge, 2006. 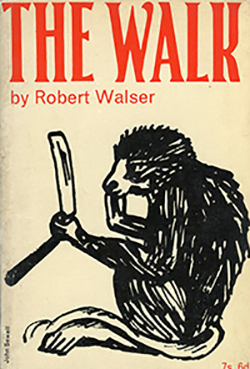 ♦ The Walk and Other Short Stories, Robert Walser, Serpent’s Tail Classics, 2013. Judith Browning (b. Edinburgh, 1987) is an artist and writer based between London and Glasgow. Graduating from GSA in 2010 she will complete her MFA in Art Writing at Goldsmiths this summer.